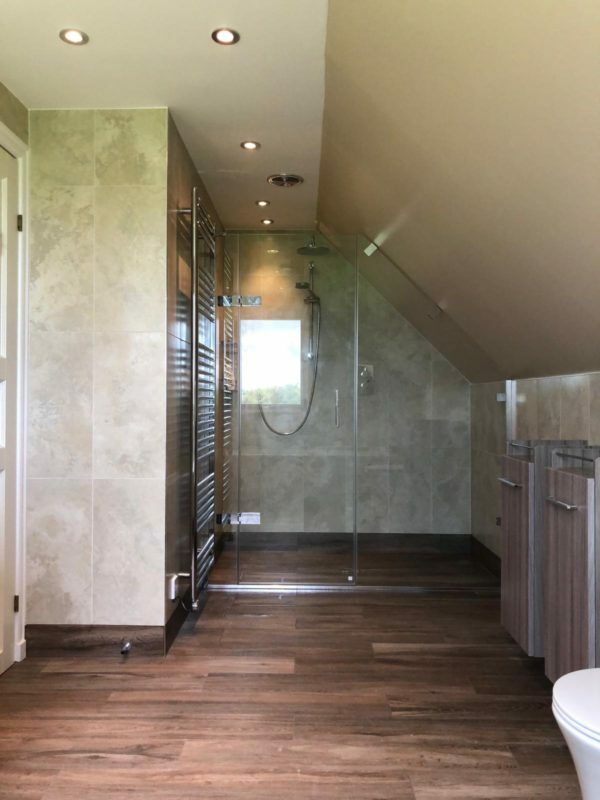 At The Bathroom Company we pride ourselves on not only the quality of our designs and products we can supply, but most importantly the quality of service and care we provide to each and every one of our valued customers. “My husband and I first made contact with The Bathroom Co via a website enquiry in late 2014. Probably the best thing we did after moving into our new home. As a result of that meeting, they designed and installed 2 full bathrooms for us the following year. We were so impressed with the results that we asked them back to work their magic on another full bathroom, plus one shower room in 2015. Finally, last year they returned again to complete the project by creating a further 2 full bathrooms and 1 cloakroom. It is difficult to properly communicate the style and elegance of their designs. Probably the best solution would be to make a visit to their showroom. What you see there can be translated into your own home, personalised for you and built within your resources. We had a variety of different budgets, and have been delighted with every one of the rooms created for us. The Bathroom Co is not the cheapest option on the market, but you get what you pay for. In addition, we cannot speak highly enough of the calibre of the people employed. The teams that arrived in our home were wholly trustworthy, responsible, reliable, extremely hard working, courteous, very experienced, highly skilled and as unobtrusive as they could be, given their remit. There was first class co-ordination between the office and the site, and we were kept informed at every stage of the proceedings. We really appreciated the care that was taken of us during each project. Moreover, the workmanship and materials were first class. 5 years down the line, the original bathrooms still look wonderful. We did encounter a problem with the floor in one of the original ensuites last year, but the response of The Bathroom Co was amazing. They took immediate action, identified and fixed the problem as quickly and efficiently as they could, apologised, followed up to ensure we were satisfied with the new job and made no charge. There is no better measure of a company or an individual than the way in which they respond to difficulties. This entry was posted in Baths, Business, Showers, Style and tagged Customer Service, Quality, Testimonials.